Global firms including LeasePlan, Ikea and Deutsche Post DHL Group have pledged to migrate their fleets and infrastructure over to electric vehicles by 2030 under a new initiative. The EV100 programme is the brainchild of non-profit organisation The Climate Group and aims to fast-track EV uptake, with members committing to switch their major diesel/petrol vehicle fleets to EVs and/or installing electric battery charging infrastructure. The initiative is intended to send a message to the auto industry to expedite EV developments while also reducing costs to help make electric cars more accessible for everyone. The programme covers 10 founding members – Baidu, Deutsche Post DHL Group, Heathrow Airport, HP, Ikea Group, LeasePlan, Metro AG, PG&E, Unilever and Vattenfall – with a number of members having committed to transitioning their fleets to EVs. 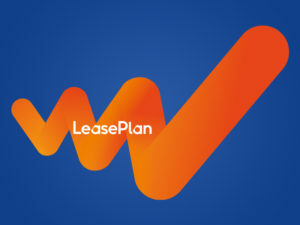 This includes LeasePlan, which said its ambition is to have all its employees driving electric cars by 2021 and added that it would help migrate its customers to EVs as part of its ambition to achieve net zero emissions from the corporate automotive sector by 2030. A number of members have also pledged to deploy charging infrastructure, including Swedish power company Vattenfall and HP, which said it would roll out their progressive workplace charging scheme internationally.